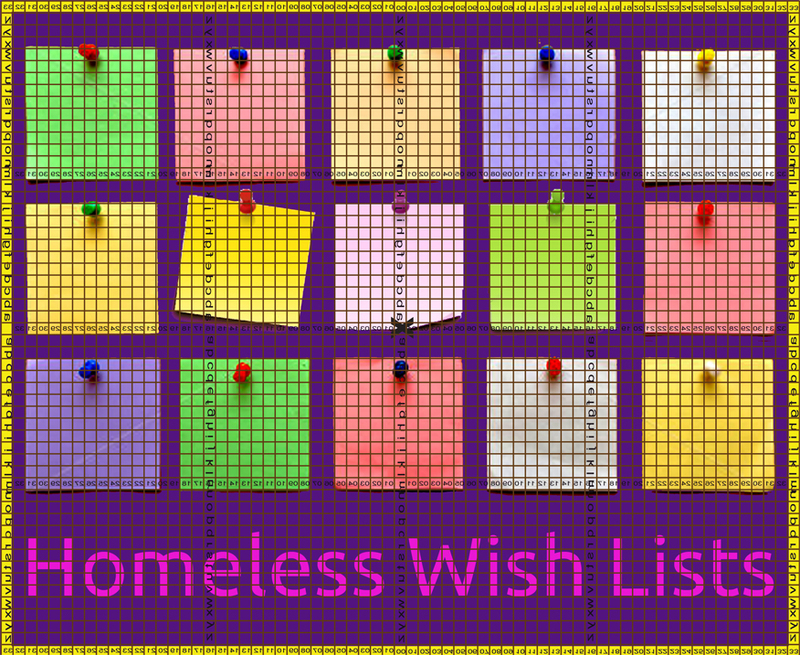 The image was a series of colored post-it notes and the tag line was Homeless Wish Lists. 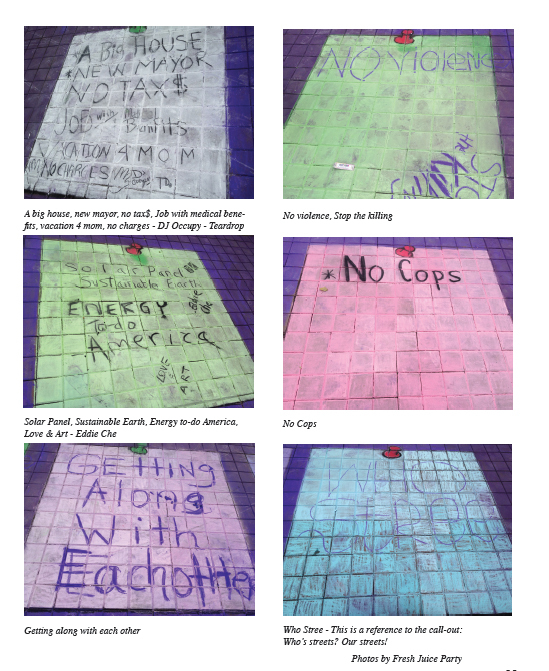 Seeking to keep things interactive and wanting to do something about the homelessness that affected many of my chalkers, I had the idea to let them speak for themselves. I did a design of post-its and allowed people to choose the colors themselves. 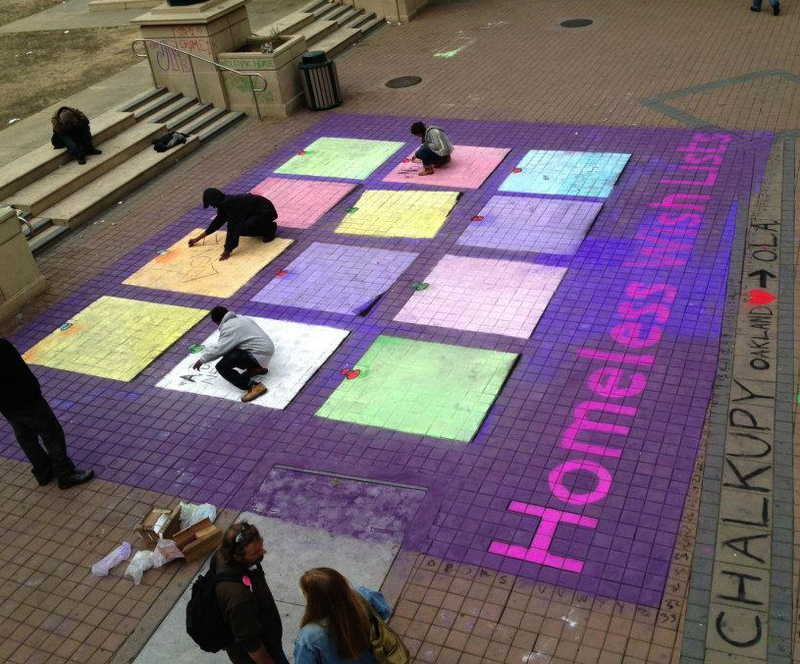 When you are homeless in downtown Oakland, they will chase you off of benches, sidewalks, anywhere you try to sleep is off limits. Shelters fill up. It’s like homeless people don’t even have a right to exist. This was the first time that Fresh Juice Party Band played at the plaza. 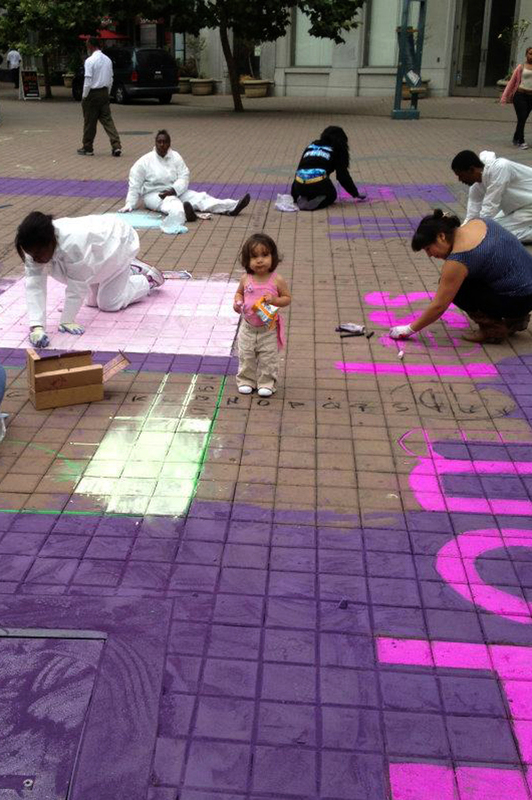 Craig had been in the habit of bringing some speakers and an ipod stacked with various protest songs and the Hip Hop favorites of our chalkers, inter-spliced with some of Fresh Juice Party’s own music including the instantly popular Chalkupy song. We gave out socks for the occasion. Socks are something homeless people almost always need. And between the music and the sharing there was a real feeling of human love and connection that day. 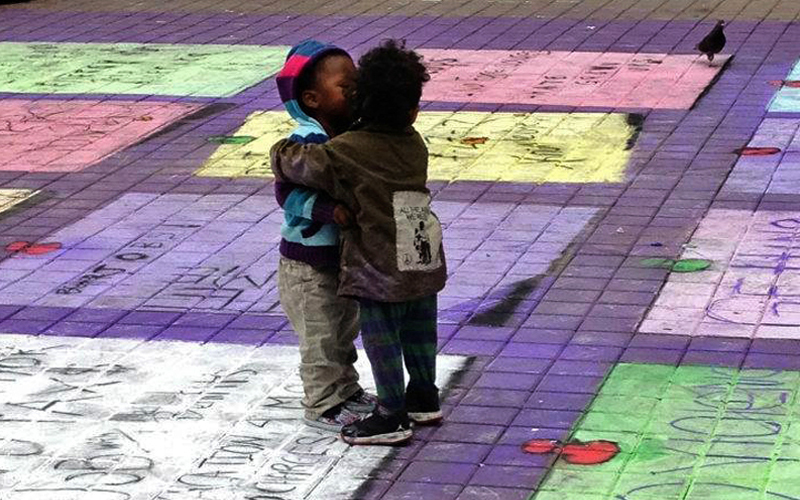 2 little kids started hugging each other, standing on the chalk and we got some really cute pictures. Final artwork Loving feelings.